Ramblings from an Over-Squozen Brain: Wrong Turn or Divine Detour? 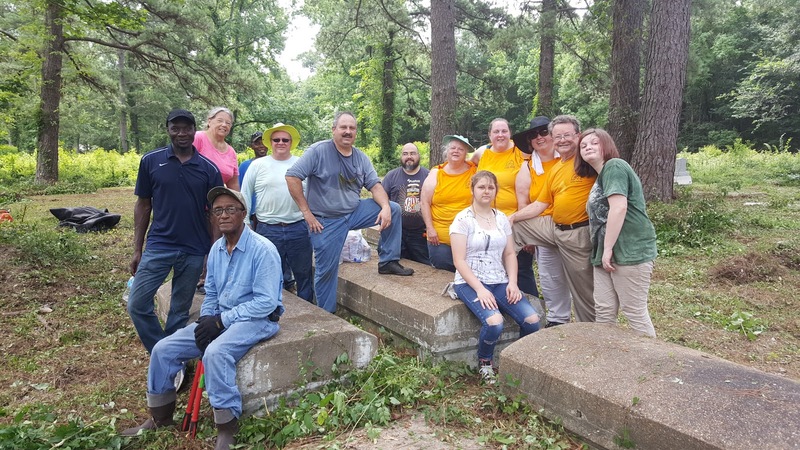 Over the past few months, I’ve had the opportunity to be a part of a community effort to clean up the Holly Oak Cemetery, and it’s taught me that a wrong turn can truly be a divine detour. 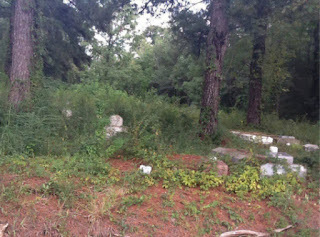 Several months ago, a friend of mine (Brian Ussery) took a wrong turn and stumbled upon an old cemetery. It was off the beaten path, badly overgrown, and desperately in need of some attention. At that moment, he decided he wanted to do something. But he knew he couldn’t do it alone. Holly Oak, an historic African American cemetery with gravesites dating back to the 1800s, has no official caretaker. Traditionally, the cemetery was cared for by the families of those buried there. But as time has passed, many of those families are no longer in the area or no longer physically able to maintain the grounds. And some buried there have no descendants. So my friend shared his idea with me and a couple of area pastors. We shared it with our churches, and volunteers signed on, eager to help. 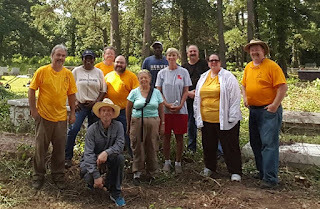 With everything in place, we made plans for our first work day at the cemetery back in April. And then it rained - a lot - the entire week before the cleanup date, making it impossible to get into the cemetery with the equipment we needed to get the job done. So we set another date. 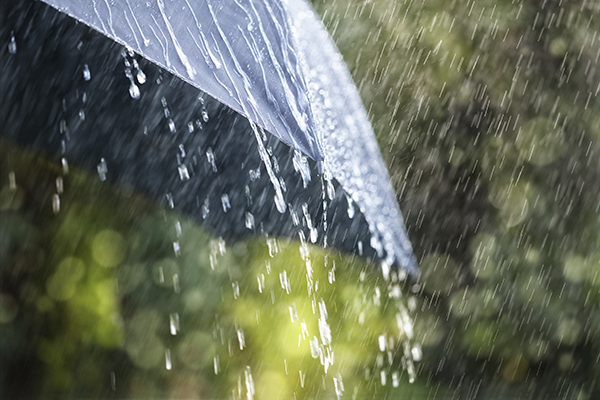 Which was also rained out… and then another date… which was, you guessed it, also rained out! Every time I sent out a “postponed” notice, it was so discouraging. I feared that the repeated delays would dampen interest in the project. But the need was real and so was the desire to serve, so we never gave up. On June 18 we finally had our first official cleanup, after more than two months of delays! It felt good to get started, but it was hard work. It was HOT. And buggy. And poison ivy-ey. ;) But an amazing group of volunteers, representing four different churches, showed up to work despite the difficult conditions. It was amazing, exhausting, and rewarding! I was so excited about the team and the progress we had made that I just had to grab a quick picture of everyone before we left. We gathered for the picture among some graves. Unfortunately, after I posted the picture, someone pointed out that we were standing on the graves, a sign of disrespect which we certainly never intended. I quickly made my apologies. And Holly Oak Cemetery showed me that in my excitement to serve, I should always be mindful of why I’m serving. And it’s something I haven’t forgotten on subsequent cleanup days. On our most recent work day, I wasn’t able to attend due to a scheduling conflict. And sometimes, as a leader, I’m hesitant to schedule any kind of project if I can’t personally be there. I like to be involved and I enjoy the work... and I feel guilty about asking others to work when I can’t be there. And honestly, sometimes I’m also afraid that if I don’t show up, others won’t show up either. Thankfully, I had nothing to worry about! The volunteers showed up and worked hard (even without me!). When people believe in what they’re doing, they’ll do it even when no one’s watching. The faithfulness of these volunteers really shouldn’t have been a surprise to me. I knew that several had come on their own time to continue the work, even when it wasn’t an “official” project day. There have probably been others, but I want to give a special shout out and “thank you” to Cathy Markhart and Mandy Fortenberry who have a lawn care business together, and they’ve made several extra trips to literally clear the way for us before our work days. Tiny Zito has also put in quite a few hours on his own time. If you’ve been around Christian Challenge for any length of time, you know that one of my tag lines is “I love serving Jesus with you!” And I do! But I also love watching you serve Jesus with each other. I can’t even begin to explain how much that blesses me. Wrong turns can be divine detours. 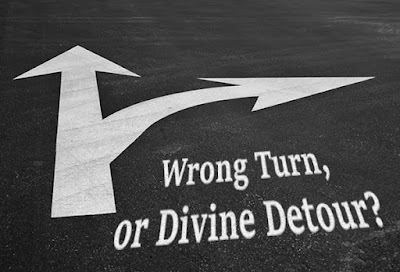 Don’t be discouraged, or even disgruntled at wrong turns - they may take you to God’s ordained path. Sometimes, even when we’re focused on doing good, we can do things that unintentionally bring offense. We need to make sure our helping isn't hurting! When people believe in what they’re doing, they’ll do it even when no one’s watching. That’s what happens when God plants the vision. This has turned into a wonderful ongoing project. Friendships are being formed by people from different churches. We’re talking about having dinners on the ground and other fellowship times together. And there is a desire to see this continue as a witness to the community that believers from different churches can work together in harmony for something that doesn’t benefit any of them directly. In fact, this project is a wonderful example of Jesus’ teaching when he said when we throw a party we should invite those who can’t invite us back. In other words, bless those who can’t bless you in return (Luke 14:12-14). There’s no one in that cemetery that can bless us back. But God can. And He will! So next time you make what appears to be a wrong turn, step back and ask if perhaps this could be a divine detour. God may bring problems to your attention because He knows you are part of the solution.